With the new year comes new beginnings. A time to start over and make anew. A moment to feel and imagine all of what you want to accomplish this upcoming year. It’s the time to truly appreciate where you are and how far you have come. This is your year! 2017 is the year that you achieve your goals and become the best you that you can possibly be. And if your New Year’s resolution is to lose weight, improve your overall health and wellness and become more physically fit I invite you to call us for a free consultation and see if we can help you achieve all of your goals. Call us now at 215-821-7336 and schedule your free weight loss health and wellness consultation. One of the most popular new year resolutions is to lose weight. But if you don’t have the proper plan, the correct information and realistic guidance most people do not achieve their goals. And this is why I believe that our weight loss programs are so successful. Because we try our best to work with our weight loss patients in developing a realistic weight loss plan that they are able to do in their hectic and crazy busy life. We also try to have people eat foods that they really enjoy. So our medical weight loss program goes way beyond weight loss pills, appetite suppressant medications, diet pills and vitamin B-12 injections therapy. In addition we will instruct you in a plan that will include the proper types of food that you should be eating for your metabolism, body type, how many calories you should be eating in a day and recommending the proper type of physical activities/exercise that will help you lose weight, burn body fat and not be bulky and blocky. It’s unbelievable how many people come into our office and are exercising almost every day and they are just getting heavier, bigger and developing a body that looks like a block or a square. And most of the time this is because they are doing the wrong types of exercises. If your goal is to lose pounds and inches there were certain type of exercises that work best for this. And they are totally different from exercises that are designed to increase muscle mass. So if you are exercising to lose weight and body fat and are just getting heavier and more bulky you’re probably doing the wrong type of exercises. So call us for your free consultation and let us help you design a plan that will assist you in achieving your goals. 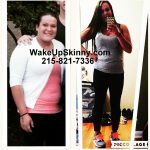 Call us now at 215-821-7336 and set up your totally free weight loss consultation. 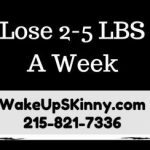 If you are already a patient in our Philadelphia medical weight loss program or our Bucks County medical weight loss program you have probably come here for more recipes. And today I have for you a very nice chicken casserole recipe that my wife Elyse is going to make for us today. Use an oven safe skillet and fry the bacon until it’s nice and crisp. When it’s finished cooking remove the bacon from the pan but leave the drippings from the bacon in the pan. Then crumble the bacon and set it on the side. Next take your cubed zucchini and add to the pan and let it fry for about five minutes or so until the zucchini is tender and has soaked up all of the bacon drippings. Then remove the zucchini from the pan and allow it to cool down. Preheat the oven to 350°F. Then place your eggs in a saucepan cover with water and then set it atop a flame and let it boil and when it starts to boil cover it with a lid and remove it from the heat. Just keep the eggs sitting in the hot water for about 11 or 12 minutes. Next remove the eggs from the hot water cool and them down in ice water or under cold running water. When they are cool peel them and slice them. In a very large bowl combine all of the ingredients for the dressing and stir them all together well. After that stir in the hard-boiled eggs, tomato, cheese, chicken, avocado, bacon crumbles and the zucchini cubes. Mix everything so that it’s combined together well. After that, move this mixture into and 8 in.² baking dish. Place it in the oven and let it cook for approximately 20 minutes. When it’s done you can garnish it with anything that you like before serving. This recipe makes eight servings each of them has approximately 270 cal, 10 g of protein, about 3 g of carbohydrates in 1 1/2 g of fiber. May this year bring you the best in health, wellness, prosperity and love. I wish you all much love and many blessings in life. And if you would like us to help you with your weight loss for this new year call us and set up your free weight loss consultation call us at 215-821-7336. This recipe is from the book the ketogenic cook book written by Jimmy Moore and Maria Emmerich. It is an awesome book especially for those of us that are looking to keep our blood sugar levels relatively low. It should definitely be part of your cookbook library. This entry was posted in Diet Doctors in Bucks County, Diet Doctors in Philadelphia, Medical Weight Loss, Medical Weight Loss in Philadelphia PA, Medical Weight Loss Philadelphia, weight loss philadelphia and tagged 39.9500° N 75.1667° W, Adipex, Belviq, Bontril, cheap phentermine in Philadelphia, Contrave, diet pills Philadelphia, doctors prescribe phentermine Philadelphia, Langhorne PA 40.17°N 74.91°W, medical weight loss bucks county pa, medical weight loss doctors Philadelphia, Medical Weight Loss Philadelphia, Phendimetrazine TartrateCR, Phentermine, phentermine in Philadelphia, philadelphia diet doctors, philadelphia weight loss doctors, Popular diet pills, Qsymia, saxenda medical weight loss philadelphia, vitamin B12 injections Philadelphia, weight loss philadelphia, weight loss pills in philadelphia, weight loss pills philadelphia, weight loss programs Philadelphia on January 1, 2017 by Dr. Michael Kenny. 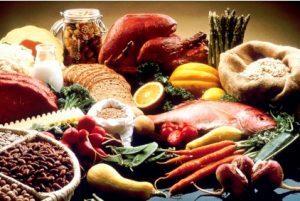 Our weight loss pills and appetite suppressant medications (Phentermine, Adipex, Bontril, etc…) do an excellent job of helping to control your hunger but you still need to eat. So here our 5 more great dessert recipes that are each under 200 calories per serving to help you enjoy the sweetness of life. Start by heating the oven to 350 degrees. Place 12, 1 ½ in cupcake liners inside a muffin-pan. In a medium-sized bowl mix together flour, granulated sugar, brown sugar, ginger, cinnamon, baking powder, cloves and salt. In a large bowl mix together molasses, prune puree, milk, olive oil, egg whites, and whole egg. Fold in flour mixture until moistened and spoon evenly into muffin-pan cups. Now bake for 20-25 minutes, until toothpick comes out the center clean. Remove cupcakes from pan onto racks and let cool. Enjoy! To make this dessert you’ll want to use a medium-sized bowl. Beat together cream cheese, confectioners’ sugar, cocoa powder, milk, cinnamon, and vanilla until it becomes smooth. Then add ¼ cup of whipped topping. At bottom of dessert glass place 2 ladyfingers. Brush 1 tbs of strong black coffee along, spread 2 tbs cream cheese mixture, top with 2 more ladyfingers, coffee, and cheese mixture. Add 1 tbs of whipped topping. Now repeat steps with remaining ingredients to make 3 more desserts. Sprinkle chocolate over finish product then refrigerate for 1 hour. Enjoy! Begin by preheating the oven to 375 degrees. Spray cooking spray inside a 9 x 9 x 2 in baking pan. Melt chocolate then scrape it into a medium-sized bowl. Add prune puree, egg whites, sugar, salt, milk, and vanilla into chocolate. Beat until mixed. Stir in cocoa powder and flour. Spread in pan evenly and bake for 30-35 minutes, or until top is spongy feeling. Keep inside pan and let cool. Cut into 16 squares and enjoy! Start by heating the oven to 325 degrees. Place foil inside a 9 x 9 x 2 in baking pan. Spray with cooking spray. Melt together white chocolate and butter together in a metal bowl over slightly simmering water. Stir until smooth then let cool. Beat together eggs, sugar, and vanilla in a large bowl for 3 minutes on medium speed. Change the speed to low and beat chocolate into mixture until it’s all combined. Sift baking powder, flour, and salt in a bowl. Then beat into chocolate mixture. Spread evenly throughout pan. Add berries on top and bake for 45-50 minutes, or until top is slightly browned. Keep in pan and let cool. Enjoy! Begin by heating the oven to 325 degrees. In a medium-sized bowl whisk egg yolks and sugar until well blended. In a small sauce pan heat milk until simmers, then remove from heat. Mix a small amount of hot milk into the yolk mixture. Continue to whisk yolk mixture into hot milk sauce pan. Now stir in vanilla and liqueur. Use a fine-mesh sieve while pouring milk mixture into a 4-cup glass measure to keep out any cooked egg. Divide milk mixture evenly into 4 oz custard cups. Sprinkle nutmeg on top then place on 9 x 9 x 2 in baking dish inside oven on middle rack. Make sure to put hot water into baking dish, fill until it’s halfway up the sides of cups. Bake for 35 minutes. Remove from baking dish. Place in refrigerator for 3 hours or overnight. Enjoy! *These recipes were taken from Eat what you love and lose by Peggy Katalinich. It is a really great cook book and I really enjoy the recipes. It’s a great addition to your cook book library. This entry was posted in Diet Doctors in Philadelphia, Medical Weight Loss, Medical Weight Loss in Philadelphia PA, Medical Weight Loss Philadelphia, Weight Loss, weight loss philadelphia and tagged 39.9500° N 75.1667° W, Adipex, Belviq, Bontril, cheap phentermine in Philadelphia, Contrave, diet pills Philadelphia, doctors prescribe phentermine Philadelphia, Langhorne PA 40.17°N 74.91°W, medical weight loss bucks county pa, medical weight loss doctors Philadelphia, Medical Weight Loss Philadelphia, Phendimetrazine TartrateCR, Phentermine, phentermine in Philadelphia, philadelphia diet doctors, philadelphia weight loss doctors, Popular diet pills, Qsymia, saxenda medical weight loss philadelphia, vitamin B12 injections Philadelphia, weight loss philadelphia, weight loss pills in philadelphia, weight loss pills philadelphia, weight loss programs Philadelphia on September 29, 2016 by Dr. Michael Kenny. Sadly, once we reach our mid-30s most of us start gaining weight no matter what we do. And this is because our hormones start decreasing sometime during her late 20s. So this means you could be eating the same foods and doing the same type of exercises that have kept you fit and trim during your teens and 20s but now all of a sudden you start gaining weight each and every year. And now these homeopathic creams gives us the ability to help you lose this weight by balancing your hormones. Adding these creams to our already successful medical weight loss programs will allow us to help even the most difficult weight-loss cases. So if you have tried everything and you have not been able to lose weight call us and let us help you. The weight loss pills and appetite suppressant medications along with the vitamin B12 injection therapy do a fantastic job of helping to curb your appetite, eliminating your cravings and boosting your fat burning metabolism. And when combined with our nutritional and recipe protocols this has given most of our weight loss patients a very powerful combination of weight loss protocols to help them lose the weight that they wanted and reach their weight loss goals. With our weight loss plan you get to eat real food in we provide you with lots of delicious low-calorie recipes. If you are already one of our weight loss patients you know that every week I try to add more great recipes so in keeping with tradition here are some scrumptious recipes to help you lose weight and burn body fat. This is a phenomenal recipe that reminds me of something that my great-grandfather would enjoy. This makes four servings each of them has approximately 250 cal and 30 g of carbohydrates. First you should cut the bread in half lengthwise. I usually like to remove the extra dough from the inside of the bread. This normally leaves about a half-inch thick shell. After that lightly coat the outside of the breadth with your olive oil nonstick cooking spray. Sprinkle the goat cheese over the cut side of the bread bottom. Then you can stop this with the basil, tomatoes, prosciutto and arugula. You can even drizzle over top some balsamic vinegar and cover this with the other half of the loaf of bread. Now to a large nonstick skillet with your cooking spray and let this preheat over medium heat. Place in the skillet and use another pan or something like that to apply pressure to flatten the sandwich out a little bit. Normally it takes about 2 minutes for this to cook on one side and then turn it over and cook it for another 2 minutes or so until both sides are browned evenly. After that remove it from the skillet on a cutting board for at least 7 minutes. After that make sure that you use a serrated knife to cut the entire loaf into four portions. I usually like to serve the sandwiches warm or at least at room temperature. Four pods of hot pepper. Start by placing your garlic and hot pepper in 4 hot 1 pint jars. Pack the okra firmly into the jar and add the dillseed. Combine the vinegar, alum, water and salt and bring to a boil. Reduce the heat and let this simmer for approximately five minutes pour over the okra and then seal the jars. Three stalks of diced celery. ¾ bottle with chili sauce. 2 – 3 tablespoons of Stevia. ¼ teaspoon of celery seed. ½ teaspoon of mustard seed. Start by salting your onion slightly in oil and then remove it from the heat. Add the remaining onion, chili sauce, celery, salmon, catch up. Stevia and pickles. Tie the celery seed and the mustard seed and a small cheesecloth bag and add this to the mixture. After that add the remaining ingredients and bring this to a boil and reduce the heat. You should cook this for about 45 minutes of course stirring it occasionally. After that you can refrigerated and it’s always best to serve this cold. 1 tablespoon of dry mustard. 1 tablespoon of grass fed butter. One grapefruit sliced in half. 1 can of crabmeat finely shredded. Now let’s admit that this is a really great recipe and we start by beating the eggs in a small bowl and then add the mustard, salt, pepper, paprika and Stevia. Stir in the vinegar and mix this well. Melt the butter in the top of a double boiler over low heat. And then stir in flour. Add the milk gradually and bring this to a boil. Remove from the heat and mix in the egg mixture. Reheat this to boiling stirring constantly and cook until it’s thickened. Let everything cool down in the mixture will start to think it thickened even more. Remove the membrane from the grapefruit and make large holes in the center for the crab meat. Moisten your crabmeat with the boiled dressing and spoon your crab meat mixture into the grapefruit. You can garnish this with a dash of paprika or even sliced olives or pimentos. You can even sweeten in grapefruit with some Stevia if you like before serving it. First you should clean and devein your shrimp. Then set them on the side. In small bowl mix together the cream cheese and milk stirring this together until it’s nice and smooth. Then stir in the celery, roasted red peppers and green onions and then set this on the side. In a medium bowl toss the shrimp with the Cajun seasoning and put a large skillet over a medium – high heat add the oil and then add the shrimp and let this cook for approximately four minutes or until the shrimp are opaque. Then remove them from the heat. Separate your bread slices on top of four dishes and then top with the cream cheese mixture, lettuce and the shrimp and if you like you can even sprinkle this with some parsley. This is a fantastic recipe makes 4 servings each of them has about 260 cal and 20 g of carbohydrates. Peeled silver skin onions – 3 pounds. Chopped celery – 4 pounds. Chopped green beans – 2 course. Dill pickles – 2 course. Olive oil – 1 cup. Pimento stuffed olives – 3 jars. This is a wonderful recipe in we begin by boiling or cauliflower for three minutes and then during this well. Separate the cauliflower into flour rents and combined with the onion, pickles, beans and celery. Then mix the catsup, oil and vinegar and a large kettle and add the vegetable mixture. Let the simmer for approximately 10 minutes. Add the olives and mushrooms and simmer this for approximately 10 minutes. Then stir in the tuna and anchovies and let it simmer for another 10 minutes. After that put this into an airtight container and refrigerate for about for about 30 minutes. This is a really great recipe and feeds large number of people. 2 bunches of white or green or even red grapes. This is a really juicy treat and super super sweet. Separate your grapes into small clusters and brush them with the egg white. After that just roll them in the Stevia. Place them on a wire rack to dry for about one hour. This recipe is very sweet recipe and I would only eat a few grapes at a time. This recipe is definitely not diabetic friendly LOL. This is for your one sweet treat cheat snack. Begin by cutting your steaks into 1/16 inch strips across the grain. Combine the remaining ingredients in a large flat pan and add the steak strips. Marinate the strips for several hours then lift the strips of steak out of the marinade and shake off the excess marinade. Then place your strips on metal skewers and place on a grill and broil them over medium – high heat, just until they are browned nicely. Make sure that you are turning them periodically and brushing them with the marinade sauce. This recipe is always best when you eat it nice and hot. First you want to whip the egg whites in a bowl for a couple minutes and then mix in the yolks, protein powder, vanilla extract and stevia. after that, heat the oil in a skillet over medium – high heat and once the pan is hot for a one quarter cup of the batter into the pan and allow this to cook until the pancake is golden on both sides. This normally takes about two minutes for each side. After that remove the pancake from the skillet and set it on a plate. to repeat this with the rest of the batter until it’s totally cooked. You will probably have to add more butter in between each of the pancakes. When you’re ready to serve you can top the pancakes with any type of sugar free syrup. This is an awesome recipe makes approximately 4 servings each of them having 330 cal and 22 g of carbohydrates. I prefer to use fresh tuna fillets but if you are using frozen first you have to fall your tuna. Then clean the tuna and then chop it and set it on the side. Crack open the egg and beat it with a fork. Mix in the tarragon, breadcrumbs, the salt and 1/8 teaspoon of the pepper. When this is all mixed nicely add the tuna and stir until everything is mixed together nicely. After that use your hands and shaped this into four 1/2 inch thick patties. Now in a shallow dish mixed together the flaxseed meal and the flaxseeds and dip the tuna patties into this mixture. Just be sure that it’s evenly coated on both sides. Then spray a nonstick skillet with your cooking spray and heat over medium heat and add the tuna patties and let this cook for approximately 12 minutes or for as long as it takes to make sure that is totally cooked. While the tune is cooking in another bowl mash your avocado and then add mayonnaise, lemon juice, lemon peel, garlic, 1/8 teaspoon of salt and the remaining 1/8 teaspoon of pepper. You should continue to mash this and make sure everything is mixed well. When you are ready to serve this place one sandwich thin in each of your serving plates. And then top with the spinach leaf and tomato slices followed by the cooked tuna patties. Make sure that you spoon on top your avocado mixture evenly onto each sandwich. If you need help losing weight call us now for your totally free medical weight-loss consultation. Call us now at 215-821-7336 and schedule your consultation with Dr. Kenny. These recipes are taken from a great cookbook, the ultimate diabetic cookbook, from Better Homes & Gardens. It’s the really good cookbook especially if you are diabetic. I highly recommend that you add to your library of cookbooks. This entry was posted in Diet Doctors in Philadelphia, Medical Weight Loss, Medical Weight Loss Philadelphia, Weight Loss, weight loss philadelphia and tagged 39.9500° N 75.1667° W, Adipex, Belviq, Bontril, Contrave, diet pills Philadelphia, doctors prescribe phentermine Philadelphia, Langhorne PA 40.17°N 74.91°W, medical weight loss bucks county pa, medical weight loss doctors Philadelphia, Medical Weight Loss Philadelphia, Phendimetrazine TartrateCR, Phentermine, phentermine in Philadelphia, philadelphia diet doctors, philadelphia weight loss doctors, Popular diet pills, Qsymia, saxenda, vitamin B12 injections Philadelphia, weight loss philadelphia, weight loss pills philadelphia, weight loss programs Philadelphia on July 24, 2016 by Dr. Michael Kenny. As part of our medically supervised prescription weight loss program we give you the best weight loss pills and appetite suppressant medications to help eliminate your hunger, vitamin B12 injections to boost your metabolism and delicious recipes for a safe and sensible weight loss meal plan. So that you can save money and buy your own food at the supermarket. 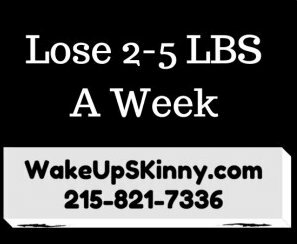 For more information about our weight loss plan call us and schedule your Free Medical Weight Loss Consultation – call 215-821-7336. ½ pound of shredded imitation crab meat or even real crabmeat. ½ pound of cooked shrimp that you are going to chop up. One can, approximately 4.5 ounces of chopped green chilies. 1 teaspoon of hot chili powder. Baked corn tortilla chips – one bag approximately 8.5 ounces. Prepared salsa – 1 cup. Reduced fat Monterey Jack cheese approximately 1 cup shredded. This is a phenomenal recipe and we are going to start by heating our oven to 350°F. After that we are going to mix together in a very large bowl your imitation crab meat, your chilies, or hot chili powder cumin and salt and your shrimp. Then line the bottom and the sides of a baking dish that is approximately 13 x 9 x 2” with your tortilla chips. After that spoon out your crabmeat mixture evenly over the entire mass of corn chips and then after that pour over top your cheese, olives, scallions and the salsa. This is a really unbelievable recipe! You should bake this for approximately 15 minutes or until it is heated all the way through and all the cheese is melted nicely. This is definitely not a low-carb recipe. This recipe makes 6 servings each of them having 310 cal, 7 g of fat, 22 g of protein and 43 g of carbohydrates. So if you’re watching your carb intake eat this maybe once a week and only eat half of the serving just like I do. Let’s start out cooking this dish by heating the oven to 375 degrees and spraying the casserole dish with cooking spray. Cook the bow ties in large pot until they are softened a bit. Add broccoli for last 2 minutes. As that is boiling, stir the sour cream, alfredo sauce, onion, salt, cayenne, and nutmeg in a large bowl. Then add the bow ties, broccoli, peas, and carrots and toss everything around altogether. Pour into the prepared casserole and bake for 30 minutes or until bubbly. Cover it with a sprinkle of cheese and return to oven for 5 minutes and enjoy! Start out by preheating the oven to 375 degrees, as you’re cooking the shells in a large pot until tender. Pulse together cottage cheese, ½ cup mozzarella, egg white, parmesan, garlic powder, basil, salt, and pepper until well blended and smooth. Transfer mixture to large bowl. Stir in broccoli and carrots. First you want to heat your oven to 400 degrees F. Then take a large skillet and heat this over top medium heat and add the onion and garlic and saute until it’s nice and soft. Next mix in your black pepper, cumin, jalapeno and your tomatoes. And cook this for approximately 10 minutes. Next sprinkle the chilli powder over top of your tortilla chips place them on the baking sheet and cook them for about 10 minutes plus or minus a few minutes until they are nice and crispy. While your tortilla chips are baking spoon the broth to your large skillet and let this simmer on low heat for about 10 minutes. After that just set four bowls on your table and spoon in the soup and then over top of that sprinkle your tortilla chips, cilantro and cheese. This recipe makes four servings each of them has about 190 calories, 6 grams of protein and 17 grams of carbohydrates. This is an unbelievably tasty recipe it makes six servings with two crab cakes equaling one serving. Each serving has approximately 240 cal, 3 g of fat, 24 g of protein and 25 g of carbohydrates. 1 pound of crabmeat, with all of the shells and other cartilage materials removed. ½ sweet red pepper with the core and the seeds removed. Cut this into small pieces. 3 scallions cut into small pieces. 2 carrots peeled and sliced into small pieces. ⅓ cup of reduced fat mayonnaise dressing. ¼ teaspoon of black pepper. 1 teaspoon of fresh chopped tarragon. 2 ears of corn of course with the kernels removed from the cob. This makes approximately 1.5 cups of kernels were even a little bit more. ½ of a sweet red pepper with the core and scenes removed and then chop The pepper into pieces. ½ cup of cherry tomatoes sliced in half. 2 tablespoons of fresh lime juice. A pinch of black pepper. A dash of liquid hot pepper sauce or you can put as much you like to your taste. Now, for the crab cakes combine in a food processor the crabmeat, scallions, sweet peppers and carrots. Pulse this combination until it’s blended nicely. After that add the eggs, salt, tarragon, pepper and mayonnaise and pulse until everything is blended together. Next we move this mixture to another bowl. Then heat your oven to 425°F. Then stir three-quarter cup of the breadcrumbs into the crab mixture and place the remaining crumbs in a shallow dish. Mold your crab mixture into 12 patties or cakes whichever you prefer using about ⅓ cup of mixture for each. Then coat to cakes with the remaining crumbs. Next coat the baking sheet with the cooking spray and placed the crab cakes onto your sheet. Lightly coat the tops with the additional spray. Then bake the crab cakes for approximately 8 minutes just make sure that you turn them over halfway through so that it cooks evenly. You can even place the crab cakes under broiler for 1 – 2 minutes per side to make it a bit more crispy. To make the corn relish all you have to do is stir together the corn, sweet pepper, scallions, cherry tomatoes, salt, black pepper and lime juice and season with the hot pepper sauce. Serve this relish with the crab cakes. I hope you enjoy this recipe just remember that two crab cakes combine for a total of approximately 25 g of carbohydrates. So if you are watching your carbohydrate intake just don’t eat too many of these. 6 boneless skinless chicken breast sliced in half – approximately 2 pounds overall. Chicken broth – 1 can approximately 14.5 ounces. Dried thyme – ¼ teaspoon. Start this recipe by coding or skillet with the cooking spray. Place the skillet over medium – high heat and season the chicken on both sides with the salt and pepper. Next add the chicken to the skillet and cook this for about 5 – 6 minutes on each side or for as long as it takes until the chicken is cooked all the way through. When your chicken is thoroughly cooked removed from the skillet and place it on a platter to keep it nice and warm. The next step is to add the broth, capers, rosemary and thyme to a skillet and cook this over medium – high heat for approximately 5 minutes. Then remove the skillet from the heat and stir in your mustard and the honey. Serve the chicken with the couscous. This makes 6 servings each of them having about 320 cal, 5 g of fat, 36 g of protein and 30 g of carbohydrates. This is a really awesome recipe it makes 6 servings each of them has about 340 cal, 12 g of fat 32 g of protein and 30 g of carbohydrates. 4 small carrots that you were going to peel slice them in half lengthwise and cut them crosswise. Three medium-sized parsnips that you are going to peel and slice them in half. And then cut them crosswise into 1 inch thick half-moon slices. Two heads of Belgian endive that you were going to trim and cut them into 1 inch pieces. 2 tablespoons of vegetable oil. ½ cup of honey mustard. 2 tablespoons of fresh lemon juice. ½ teaspoon of dried thyme. Three large skinless chicken breast that you are going to slice in half. This is going to equal approximately 2 ½ pounds of chicken meat. 4 medium-sized zucchini approximately 2 pounds in all you’re going to cut them into 1.5 inch pieces. 2 cups of chopped broccoli rabe. This is a really really good recipe and first we’re going to preheat our oven to 400°F. Place the carrots, parsnips, endive and onions into a very large bowl and then add your oil and toss everything nicely together. Next we are going to pour this mixture into a large roasting pan and season it with the ½ teaspoon of salt. Next in a small cup stir together the honey mustard, lemon juice and thyme. Then put the chicken in the pan on top of the vegetables. Sprinkle the chicken evenly with the remaining ½ teaspoon of salt. Then brush evenly with the 3 tablespoons of the honey mustard mixture. We are going to roast this for approximately 25 minutes and then remove the pan from the oven and add this zucchini. Increase the heat to 450°F and roast for approximately 10 minutes. Remove the chicken and place it on your dishes and cover it with foil to keep it warm. Stir the remaining honey mustard mixture into the vegetables in the roasting pan and roast this for approximately 10 minutes. Then just divide the vegetable mixture between your blades and copies of them with a piece of chicken. While the vegetables are roasting you can steam the broccoli rabe until it’s nice and tender. This normally takes about somewhere between 2 – 3 minutes and then serve it on the side of the chicken and vegetables. 1 quarter cup of fresh lemon juice this is approximately the juice from one whole lemon. 1 tablespoon of finely chopped fresh ginger. 1 tablespoon of soy sauce. 6 skinless chicken breast that you were going to slice in half, approximately one and a half pounds in total. 1/8 teaspoon of red pepper flakes. 3 quarter pound of cherry tomatoes. 1 quarter teaspoon of salt. 6 cups of shredded romaine lettuce. 1 quarter cup of finely chopped cilantro. 6 cups of steamed green beans. In a steam proof dish or glass pie plate stir together with the lemon juice, Ginger, soy sauce, sugar and cornstarch. Add the chicken and stir to coat it. Let this stand at room temperature for about 20 minutes. Place the dish with the chicken and the marinade on a rack over 1 inch of water in a wok or a very large skillet with a deep lid. Heat the water to simmer over medium heat. Cover this tightly and steam for about 5 minutes. Uncover and then with the tongues turn the chicken over and then cover it and steam over medium heat until the chicken is a opaque. This usually takes about 5 minutes. Meanwhile cook the linguine in a large deep pot of lightly salted boiling water until it’s al dente. In a large Skillet heat oil over medium heat then add the garlic and saute this for about 1 minute. Next add the red pepper flakes and tomatoes and cook until the tomatoes just start to break apart, this takes about 3 minutes normally. Next add the linguine and salt. Place your lettuce on top of the plates and spoon the chicken and sauce over top. Divide the linguini amongst your plates and garnish with scallions, cilantro and green beans. This recipe is great for the summer time especially now but it’s very hot outside. This recipe makes approximately 4 servings each of them having about 220 cal, 12 g of carbohydrates and a grams of sugar. Put all of the above ingredients (except the pineapple and salad dressing) into a blender or food processor. And pulse until it’s finely chopped. I usually do this by just using the pulse mode on my blender or you might just have to turn it off and on several times. My food processor is small so I have to process this in 2-3 batches , one at a time. You may next add the salad dressing and pineapple into our mixture and toss everything nicely until it’s well combined. When you are ready to serve spoon about 1/4 cup of the chicken mixture onto each lettuce leaf and enjoy. This entry was posted in diet doctors, Diet Doctors in Bucks County, Diet Doctors in Philadelphia, Medical Weight Loss, Medical Weight Loss Philadelphia, Weight Loss, weight loss philadelphia and tagged 39.9500° N 75.1667° W, Adipex, Belviq, Bontril, Contrave, diet pills Philadelphia, doctors prescribe phentermine Philadelphia, Langhorne PA 40.17°N 74.91°W, medical weight loss bucks county pa, medical weight loss doctors Philadelphia, Medical Weight Loss Philadelphia, Phendimetrazine TartrateCR, Phentermine, phentermine in Philadelphia, philadelphia diet doctors, philadelphia weight loss doctors, Popular diet pills, Qsymia, saxenda, vitamin B12 injections Philadelphia, weight loss philadelphia, weight loss pills philadelphia, weight loss programs Philadelphia on July 16, 2016 by Dr. Michael Kenny. Even though our weight loss pills really do help control your appetite and cravings you still have to eat if you want to lose weight. That is why we constantly update this site with new and delicious low calorie recipes; to help you lose weight fast and safely. If you would like more information about our medically supervised prescription weight loss program just call us at 215-821-7336 and schedule your free weight loss consultation. Here are 14 super delicious recipes to help you lose weight and turn your body into a fat burning machine. This is a fantastic recipe it only has about 290 cal, and 20 g of carbohydrates. We begin by heating a grilling pan or a very large nonstick skillet over medium heat. Lightly coat the sweet pepper and the onions with the cooking spray and add to your hot grill or skillet. Let this cook for approximately 7 – 8 minutes or until it’s nice and tender, just make sure that you turn it over at least once so that it;s grilled evenly on both sides. When it’s cooked just remove it from the pan. Next sprinkle the chicken with the nonstick spray and add it to the grilling pan or skillet and let this cook for approximately 4 – 5 minutes, just make sure that it’s not pink. And again make sure that you grill it evenly on both sides. When it’s done remove it from the skillet or pan and using utensils pull the chicken apart into shreds. Then cut the peppers into bite-size strips. To make the sandwiches just spread the cut sides of the sandwich rounds with the pesto. Sprinkle the sandwich with olives and placed the grilled onion slices on top of the olives. Next top this with the pepper strips in place the chicken over peppers. Sprinkle with the both types of cheese and topp the sandwich with the round tops. Lightly spray the sandwiches with cooking spray. Put them on the grilling pan or your skillet over medium – low heat and use a heavy pan to place on top of the sandwich to press it down so that the grills nicely. When it’s ready take the pan that you are using to apply pressure off and set it on the side sprinkle more cheese over top of your sandwich and let it melt and then enjoy. This recipe makes 4 servings. To make this recipe all you have to do is just mix all the ingredients together in a small bowl. This is a fantastic recipe makes approximately 4 servings and each of them has approximately 320 cal and 35 g of carbohydrates. Be sure that you soak the bamboo skewers in water for at least 35 minutes before using on the grill. In a small dry skillet toast your cumin seeds over medium heat for approximately one minute or you can toast them until you can smell them. Then move them into another bowl and add your cucumbers, red onion, tomato, cilantro, black pepper and radishes. Mix all of this together nicely. Take another bowl and add your turkey breast cubes and your curry blend – taken from the above recipe. Make sure that your turkey is coated with the seasonings. After that just put your turkey cubes onto your skewers. If you are using a charcoal grill, just grill the turkey kebabs on the grill rack over medium heat calls. You can grill this uncovered for anywhere from 10 – 12 minutes but just make sure that you cook it until there is no pink remaining. If you are using a propane gas grill or any type of gas grill make sure that you preheat the grill and then reduce the heat to a medium flame and put your kebabs on the grill rack over the heat. Close the lid and cook it until there is no pink remaining. When everything is finally cooked just remove the turkey from the skewers. And all you have to do is scoop the Greek yogurt over top of your pita rounds . And then just spoon everything on top of your yogurt including the turkey and enjoy. one large portobello mushrooms with the stems removed and cut it into strips. In a very large nonstick skillet heat the 2 teaspoons of olive oil over medium – high heat. Then add the beef strips and sprinkle them with black pepper and salt. Cook this for approximately 5 – 6 minutes or until the beef is just slightly pink in the center. Then remove from the skillet, cover it and set this on the side. Using the same pain mix together the remaining 2 teaspoons of oil, the mushroom strips, chili pepper, onion, garlic and sweet pepper and cook this for about 10 minutes or as long as it takes for the vegetables to become tender. Make sure that you stir this to keep everything heated all the way through. You want to preheat your broiler and split the bread loaf in half and scoop out the soft centers of the top and bottom of the loaf leaving about a 1/2 inch shell. Place the bread halves cut side up on a large baking sheet. Broil the bread 6 inches from the heat for about 2 minutes plus or minus 4 minutes or for as long as it takes for the bread to become toasted. Then just spread the vegetable mixture into the bottom half of the loaf. Top with the steak strips and the cheese. Remove the loaf top from the baking sheet and just broil the bottom half of the bread for about 2 minutes or for as long as it takes for the cheese to become melted. Then place the loaf top over the filling to serve and cut this to make 6 portions. Each sandwich has approximately 340 cal and 34 g of carbohydrates. This is a really good recipe and tastes exactly like my great grandma would make when we lived in South Philadelphia. Start by preheating your broiler and coat an unheated large nonstick skillet with cooking spray. Preheat this over medium heat. Add the mushrooms, onion and garlic to the hot skillet and cook for anywhere from 7 – 10 minutes until it becomes tender making sure that you are stirring this. Add the tomato sauce, balsamic vinegar, rosemary and dried oregano. Bring this to boiling and then reduce the heat. Simmer this covered for approximately 2 minutes then stir in the meatballs and cook for approximately 5 minutes or more until the meatballs are heated all the way through. Open the buns so that they are lying flat in place on the baking sheet cut sides up. Broil them approximately 5 inches from the heat for about one minute or for as long as it takes for them to become lightly toasted. Spoon out the meatball mixture evenly over top of your bonds and sprinkle with cheese. Broil for approximately two minutes or as long as it takes for the cheese to melt. If you like you can even sprinkled the fresh oregano over top. This makes 4 servings each of them has approximately 340 cal and 35 g of carbohydrates. In a bowl mix together 1 teaspoon of Dijon mustard, 1 tablespoon of horseradish, 1/8 teaspoon of caraway seeds and 2 tablespoons of light mayonnaise. Let’s start by coating a grill pan with cooking spray and preheat this over medium heat. Then spread the horseradish spread on one side of the bread slices. On half of the slices placed the roast beef, arugula, cheese and onion and then top with the remaining bread slices. Place the sandwiches on your pan and place a heavy skillet on top of your Panini. Cook this for approximately 2 minutes or until the bread becomes toasted. Make sure that you toast both sides of the Panini evenly. Be careful not to burn yourself. I find that it is so much easier using a Panini maker. This is a fantastic recipe makes approximately 4 servings each of them having about 330 cal and 30 g of carbohydrates. Start off by prepping the chicken by mixing the yogurt and vinegar together. Place chicken along with the mixture in a plastic food-storage bag. Let marinate in the refrigerator for 20 minutes. As you let that sit you can set the grill to medium-hot or heat broiler. For the tomato-mozzarella you’re going to get a large skillet, heat oil on medium heat. Add in onions and saute for 5 minutes (or until softened), then add the vinegar as well as water. Let it simmer. Turn down the heat to a medium-low, let cook for 7 minutes or until liquid turns into sauce and onion is tender. Let’s increase the heat back to a medium-high and add tomatoes, salt, and pepper. Cook for 2 minutes. Once cooked, remove skillet from heat. Let it cool and bit then mix in mozzarella and chopped basil. Now that the chicken is done marinating, either boil or grill chicken for about 3-4 minutes on each side until cooked through. For the final touch place chicken on platter and top ¼ cup of topping. Enjoy! For the delicious dish let’s start off by coating the chicken in flour and melting butter in a large skillet set on medium-high. Add chicken to skillet and let cook 4-6 minutes or until golden brown. Turn over chicken once. Taking the chicken off, turn heat to medium adding on the onions and mushrooms. Saute for 4 minutes or until brown. Mix in wine, broth, and ¼ tsp salt, let simmer for 2 minutes. Scrape any leftover browned bits from bottom of skillet. Place chicken back on skillet, boil on a high heat, then lower heat and cover to let simmer for 15 minutes with occasional basting. As you’re waiting on the chicken, put water in a medium-sized saucepan, bring to boil. Throw in remaining salt and instant polenta, stirring occasionally for 3-5 minutes. Once you remove chicken, stir lemon juice into sauce in skillet. Finally, pour sauce over chicken and drizzle with parsley. Enjoy with polenta and broccoli. Start off by coating an 8-quart pot with cooking spray and place on medium-high heat. Season chicken with salt and pepper, add to pot and cook for 5 minutes or until cooked through. Remove chicken from pot and instead add in onion and garlic. Cook for 3 minutes or until softened. Mix in curry and cayenne, cook for 1 minute. In a small bowl whisk milk into soup and add to onion mixture. Finally add chicken, tomato, mango, and raisins, half covered, let simmer for 30 minutes then serve with white rice. Enjoy! Start by coating the chicken with sesame seeds by shaking them together in a plastic food-storage bag. Heating 2 tsp oil in large nonstick skillet on medium heat. Add peppers, saute 3-5 minutes or until soften. Then remove to bowl and keep covered. Add remaining oil to skillet on medium-high heat. Add chicken, let cook 4-5 minutes per side until thoroughly cooked. Then add to bowl of peppers. Changing the heat to low, add teriyaki sauce, ginger, and garlic to skillet. Cook until sauce is thickened. Place chicken and peppers back on skillet, toss around to coat with glaze. Lastly drizzle on lemon juice and scallions, then serve over rice. Enjoy! Let’s start by prepping the dip first by getting a small bowl and mixing yogurt, mint, salt, pepper, and lemon juice together. Cover and refrigerate for 1 hour. Coat broiler-pan rack with cooking spray lightly, and heat. In another small bowl mix sugar, paprika, salt, cumin, cayenne, and allspice. Rub spice mixture on chicken. Next, put chicken broth along with garlic salt in a medium-sized saucepan and bring to a boil. Add orzo as you let simmer with the occasional stir for 8-10 minutes or until almost tender. Mix in peas and tomatoes, let cook for 2 minutes. Once done remove, keep covered, and let stand for 10 minutes. Last, broil chicken for 2 minutes on each side until cooked. Serve and enjoy your dish with dip and orzo mixture! In a large nonstick skillet, heat oil on high. Add on the chicken, cook 1 minute. Then stir and cook chicken until almost cooked through. Place chicken on plate. Use remaining oil to skillet and mix in asparagus, sweet pepper, scallions, ginger, garlic, sesame oil, and pepper flakes, stir-fry 5 minutes. Stir in broth, soy sauce, and hoisin sauce, stir-fry 4 minutes or until vegetables are crisp-tender. Then add chicken back in. In small bowl mix cornstarch and water, then add to skillet. Heat for 2 minutes or until thickened. Serve with cooked rice and enjoy! Start by combining rice and broth in a large saucepan, cook till boils. Lower heat, cover and let simmer for 8 minutes. Mix ham into rice, then place chicken breasts over rice. Cover and let simmer for 8 minutes until chicken needs to be turned over and let cook for 7 minutes. Remove chicken to plate and keep warm as you mix scallions and red pepper into rice. Add cover and let cook for 13 minutes or until liquid is absorbed. Finally serve the rice with chicken and enjoy! Call us now more information about our medically supervised prescription weight loss program just call us at 215-821-7336 and schedule your free weight loss consultation. This entry was posted in Diet Doctors in Philadelphia, Medical Weight Loss, Medical Weight Loss Philadelphia, weight loss philadelphia and tagged 39.9500° N 75.1667° W, Adipex, Belviq, Bontril, Contrave, diet pills Philadelphia, doctors prescribe phentermine Philadelphia, Langhorne PA 40.17°N 74.91°W, medical weight loss bucks county pa, medical weight loss doctors Philadelphia, Medical Weight Loss Philadelphia, Phendimetrazine TartrateCR, Phentermine, phentermine in Philadelphia, philadelphia diet doctors, philadelphia weight loss doctors, Popular diet pills, Qsymia, saxenda, vitamin B12 injections Philadelphia, weight loss philadelphia, weight loss pills philadelphia, weight loss programs Philadelphia on July 5, 2016 by Dr. Michael Kenny. If you are sick of starvation diets and would like to be able to eat real delicious food like Fettuccine Alfredo, Lasagna, Penne Pasta with Roasted Vegetables, Rigatoni with Gorgonzola sauce,Rice Pilaf, Ice Cream and even Fish and Chips then our medical weight loss program is possibly exactly what you are looking for. In our medically supervised prescription weight loss program we help people achieve their weight loss goals by providing them with the finest weight loss pills and appetite suppressant medications that do an excellent job in helping to decrease your appetite, hunger and cravings and we also take the time to educate you, to teach you the proper way to eat so that you can eat real delicious food and lose weight at the same time. We also use a very high quality vitamin B12 injection, and we have found that when you combine everything that we offer; the weight loss pills, the vitamin B12 injection, the low calorie recipe meal plans and increase your physical activity a bit (walking a few days a week), most of our weight loss patients lose weight and reach their weight loss goals. If you are already one of our weight loss patients you already know this. But if you’re medical doctor referred you to us for weight loss, or a family member, coworker or friend referred you to us or even if you just found us online while doing your research for a weight loss center with doctor supervision, I invite you to call and set up your free weight loss consultation. 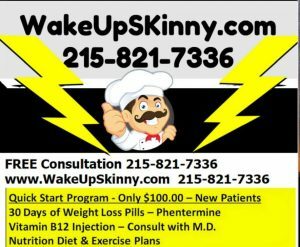 Call me now at 215-821-7336 and ask for your free weight loss consultation with Dr. Kenny. 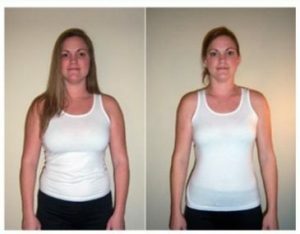 For the weight loss pills, there are lots of good medications being used and it seems that almost every few months a new diet medication is getting FDA approval or they are recommending other medications that have been used for a long time to treat other health issues can now be used to help people lose weight. This is especially true of the diet medications like metformin. In my mind this just proves how serious the issue of people being overweight has become. If you have performed your due diligence and research online you have probably discovered that these pills are the most commonly used and prescribed by most weight-loss doctors. 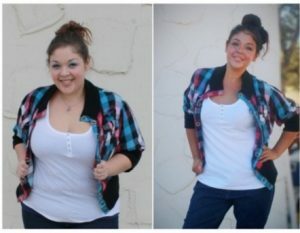 In our own personal experience and in our weight loss center we have found that phentermine and phendimetrazine seem to be the most successful in helping people lose weight and in our opinion our weight loss patients seem to have less side effects from these two medications as compared to lots of the other weight-loss medications. The most common side effects that we see from people taking phentermine are: dry mouth, more energy, decrease in appetite, decreased cravings, and constipation. This is why we always recommend that you drink lots of water and increase your fiber intake. These two simple things definitely help with the dry mouth and constipation. And when you come in for your weight-loss consultation we will definitely have this discussion with you. Finally, here are your low-calorie recipes! I hope you enjoy them. First you should cook your fettuccine. And then coat a skillet with olive oil cooking spray then placed this over medium – high heat. Next add the onion and mushrooms and cook this for about 8 minutes,continuously stirring. Then stir in the cream cheese until it begins to melt. Next stir in the milk, salt, black pepper, basil, garlic and roasted peppers and let this simmer for approximately 2 minutes. When this is finished cooking and your fettuccine is finished cooking put everything into a large bowl in mixed nicely together. You should mix in about ¼ cup of the Parmesan cheese into this mixture and use the rest to sprinkle over top. This makes about 6 serving each of them having 340 calories, 9 g of fat, 16 g of protein and 32 g of carbohydrate. One butternut squash, approximately 1 pound, peeled and seeded and cut into 1 each pieces. Begin by heating the oven to 450°F and coat 2 shallow roasting pans with olive oil cooking spray. Combine the egg plant, zucchini, onion, sweet peppers, squash, ½ teaspoon of salt and ⅛ teaspoon of pepper into a large bowl. Coat the vegetables with the cooking spray and toss to coat everything evenly. Divide this between your 2 pans. Roast them for approximately 35 minutes or until the vegetables are browned and tender. While your vegetables are bursting cook your penne pasta in a pot of lightly salted water and then drain the liquid. After that when everything is totally cooked. Mixed together your pasta, roasted vegetables, vinegar, garlic and the rest of the salt and pepper. You can add as much liquid as you have set on the side if you need to moisten the dish. This recipe makes 6 servings each of them having 250 calories, 1 g of fat, 9 g of protein and 54 g of carbohydrates. First cook your pasta in a large pot of lightly salted boiling water. While your pasta is cooking could a medium-sized saucepan with all of oil cooking spray. Next place this over medium – high heat and add the sweet peppers and cook stirring occasionally. Cook them for about 5 – 7 minutes or until the peppers are a bit softened. Then remove the peppers and set them on a plate. Using the same pan, heat the half-and-half over medium – high heat. When it begins December stir in the Gorgonzola and Parmesan cheese, salt, pepper, and not make and cayenne. Continue stirring until the cheeses have melted in the sauce is nice and smooth. When your pasta is done drain all of the liquid and in a large bowl toss together the rigatoni with the cheese sauce. Stir in the basil. Arrange the sweet pepper strips over top and garnish with the rest of the basil. This recipe makes 8 servings each of them has approximately 320 calories 8 g of fat, 15 g of protein and 47 g of carbohydrates. If you like you can always make the sauce ahead of time and just reheated when you are ready to use it. This is a very good recipe start by cooking your pasta in a large pot of lightly salted water, while this is cooking heat the spaghetti sauce in a medium sized saucepan over medium heat until it’s heated all the way through then stir in the spinach and heat until the spinach is wilted. This normally takes about 3 minutes. In a large serving bowl mix together your ricotta cheese and Parmesan cheese, pepper, nutmeg and salt until it’s blended well together. After that all you have to do is add the cheese mixture to your pasta and then add this sauce mixture and toss everything together nicely to combine it. Then enjoy! This wonderful recipe makes about 6 servings each of them having approximately 260 calories, 2 g of fat, 13 g of protein and 47 g of carbohydrates. First Baker potatoes in a 400°F oven for approximately 45 minutes. You can even cook them in a microwave at full power. Usually if I am using a microwave I poke holes in the potato with a fork and I set the timer for approximately 3 minutes. It usually takes a good 15 – 20 minutes to totally cook a raw potato in the microwave. Next heat the oil in a large skillet and add your garlic, oregano and scallions and salty this for approximately 1 minute. After that add the olives, capers, tomatoes and pepper sauce and cook this until it is slightly reduced, this usually takes about 3 minutes. After that add the tuna and remove from the heat. Now this gets fancy. Score the top of your potatoes with a fork in a cross pattern then push the ends of the potatoes together. This will cause the potato to open up and then you just spoon the tuna mixture over top of your potato and serve. This is a fantastic recipe it makes 4 servings and each of them has approximately 340 calories, 6 g of fat, 17 g of protein and 50 g of carbohydrates. This is definitely not a low-carb recipe. Roasted Salmon* Just 170 Calories!!!! First mix together the sugar, lemon rind, pepper and salt in a bowl and rub this all over your salmon. After that cover your salmon and let it refrigerate for a good half hour. When you are ready preheat your oven to 425°F and coat a baking dish with some type of olive oil cooking spray. Cut the salmon into 4 beautiful pieces. Next placer salmon with the skin side down in a baking dish and roast this for approximately 10 – 12 minutes, plus or minus a few minutes until the fish is cooked thoroughly. This is one of my favorite recipe it makes 4 servings each of them having 177 calories, 5 g of fat, 28 g of protein and 3 g of carbohydrate. For me because I am diabetic instead of using a tablespoon of sugar I prefer to use 1 tablespoon of Stevia that way it does not spike my sugar levels in my bloodstream as much as a normal sugar does. Moroccan Style Salmon*: if you would like a Moroccan flavor for this recipe all you have to do is add 1 teaspoon of ground cumin, 1 teaspoon of ground coriander and ½ teaspoon of ground cinnamon to the rub that’s noted in the roasted salmon recipe above and then follow the rest of the directions as I have laid out in the roasted salmon recipe. Latin Style Salmon*: for more of a Latin flavor just do not add salt to the rub and instead add 1 tablespoon of jarred bitter orange flavored adobo seasoning. Then just roast the fish as you would in the above recipes. You can usually find the adobo seasoning in the Spanish food section and even the spice section of your local supermarket like Acme or giant. Start by soaking the wood chips by following the package directions for at least one hour. To make the green mayonnaise in a food processor or a blender pulls together the mayonnaise, lemon juice, dill, chives and salt and blend us all nicely together. When it’s finished just scoop it out into a bowl. Then just cover this and let it refrigerate. Next drain the -soaked woodchips and put them in a small foil pan. Set up your outdoor grill with hot coals like you normally would for indirect grilling. Placed a foil pan with the chips in the corner of the grill and over direct heat. Or you can heat your gas grill for indirect grilling but the foil pan. The girl is ready when the chips begin the smoke, this usually takes about 5 minutes. For the salmon combined the lemon rind, salt and pepper and dill. Next a brush the salmon with your oil and rub the lemon mixture over the salmon. When I make this recipe I like to place the fish in a fish basket and then grill the salmon over indirect heat, covered for about 30 minutes or so. When the fish is totally cooked just serve it with your green mayonnaise. If you are going to use your oven, instead of a grill, just preheat your oven to 375°F and place your salmon filet in your broiler pan and bake the salmon for about 20 minutes or as long as it takes for the salmon to cook totally through. Remember do not place the woodchips in the oven, that is definitely a no-no. This recipe makes 8 servings each of them having 230 calories, 14 g of fat, 23 g of protein and 2 g of carbohydrates. If you are watching your sugar intake and like to keep your diet to some type of low carbohydrate program this is definitely a low-carb recipe. 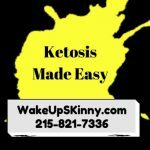 For those of you that have been reading about the trending and very popular ketosis diet this recipe definitely is a ketosis recipe. Green peppers – 2 sweet green peppers. Be sure to remove the seeds and core and cut them into ½ inch thick slices. Read peppers – to sweet to peppers can to remove the seeds and the core and cut the peppers into ½ inch thick slices. 1 pound of red potatoes. Clean them but keep the skin on and then cut them into ½ inch thick slices. Start by heating your oven to 375°F. Mixed together your potatoes, oil, onions, sweet peppers and half of the salt and pepper into a large bowl and then spread this into a 13 x 9 x 2” baking dish. Bake this uncovered for about 40 minutes stirring halfway through the cooking. After the initial 40 minutes add the garlic, one can of tomatoes, lemon juice and hot sauce and mix everything nicely to combine it together. Season the fish with the remaining salt and pepper and then just spoon the server top of your potato mixture. Then take the rest of your tomatoes and spoon over top of the fish and your vegetables. Then cover the baking dish and bake this for another 30 minutes. Then take it out of the oven and let it set on the side for approximately 10 minutes before serving. Don’t forget to garnish this wonderful meal with your parsley. This recipe makes approximately 6 servings each of them having about 230 calories, 8 g of fat, 17 g of protein and 27 g of carbohydrates. To make your salmon in a small bowl combine the ginger, garlic, curry powder, lemon juice, paprika, salt, cayenne pepper and cinnamon. Mix this nicely together and then place the salmon in a glass baking dish and spread your spice mixture over top of the salmon. Then cover the salmon and let this refrigerate for approximately 30 minutes. In a bowl stir together the yogurt, lemon juice, salt and cucumber then cover this and let it refrigerate for approximately 30 minutes. You should probably preheat your oven now to 450°F. To make the pilaf take a medium-size saucepan and can bind the salt, pepper, rice and chicken broth and bring this to a boil. Lower the heat and then cover and let it gently simmer for approximately 10 minutes. Then stir in the garlic and scallions and let this cook covered for approximately 5 minutes. Then stirring your peas and let this cook covered until the peas are warmed to all the way through and all of the liquid is absorbed. This usually takes approximately 3 – 5 minutes. Then stir in the parsley. While the rice is cooking you can bake the salmon until it’s thoroughly cooked. In most ovens this takes about 15 minutes. When your salmon is finally cooked you can serve it with the raita and the pilaf. This recipe makes about 6 servings each of them having around 340 calories, a grams of fat, 31 g of protein in 35 g of carbohydrates. Start by preheating your oven to 450 degrees Fahrenheit and then take your oil and pour it into a roasting pan then place the pan on the lowest rack in the oven while it’s heating. While your pan is heating, line a jelly-roll pan with foil and lightly coat this with cooking spray. Then, when a sheet of wax paper put together your flower, crab seasoning, one half teaspoon of salt and the kind. Then in a small bowl beat together the eggs until they are nice and stiff period when another sheet of wax paper combine the crumbs, chili powder and 1 teaspoon of oregano. Then dip the filet and the flour mixture to coat both sides evenly. Then spread the beaten eggs on one side of the floured fillets and then cover the egged sides with the crumbs. Repeat this with all of the other fillets until they are breaded nicely. Then place the fish on the foil lined pan. When the oven is heated properly add the potatoes, garlic, remaining 1/2 teaspoon of oregano, the rest of the 1 teaspoon of salt and the black pepper to the hot roasting pan and mix everything nicely. then put this back in the oven and place the fish on a pan and put the pan on the middle rack of your oven. Bake fish until it’s crisp and cooked all the way. This should take approximately 15 minutes. Then remove from the oven just make sure that it stays warm. Finish baking your potatoes until they’re nice and tender. This makes about 6 servings each of them having 270 calories, 5 grams of fat, 25 grams of protein and 36 grams of carbohydrates. To make the sauce just mix together in a bowl the sour cream, mayo, lemon juice, vinegar, pepper and salt. Next mix in your parsley, chives and scallions and then cover this mixture until you are ready to finally use it. To make the sword fish and potato salad place the potatoes in a saucepan and cover them with cold water and bring them to a boil over high heat. When they are boiling reduce the heat to a medium – high heat and let them simmer until they become a bit soft. Normally this takes about 8 minutes or so. After that drain the water from the potatoes and then place the potatoes in a bowl and let them cool down. Take your sauce and set aside 1/2 cup to serve later with the fish. Add the rest of the sauce to the potatoes and stirring thing nicely together. next all you have to do is cover this and refrigerate it for about an hour or more. Set up the broiler pan by spraying with olive oil cooking spray and place the season swordfish steaks on the rack in your broiler pan. I normally broil this for about 8 – 10 minutes in total. Make sure before you place your fish in the broiler that you mix in the half teaspoon of lemon pepper to give it a nice taste. Normally this makes 6 servings and they usually have about 270 calories, 10 grams of fat, 23 grams of protein in 24 grams of carbohydrates. 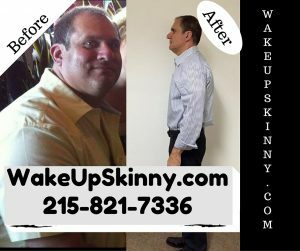 Remember call us at 215-821-7336 and schedule your free weight loss consultation with Dr. Kenny. If you’d like to bring a coworker, family member, significant other and friends for support or even to do the program together that’s perfectly fine with us and we will be happy to accommodate all of you. This entry was posted in Diet Doctors in Philadelphia, Medical Weight Loss, Medical Weight Loss Philadelphia, weight loss philadelphia and tagged 39.9500° N 75.1667° W, Adipex, Belviq, Bontril, Contrave, diet pills Philadelphia, doctors prescribe phentermine Philadelphia, Langhorne PA 40.17°N 74.91°W, medical weight loss bucks county pa, medical weight loss doctors Philadelphia, Medical Weight Loss Philadelphia, Phendimetrazine TartrateCR, Phentermine, phentermine in Philadelphia, philadelphia diet doctors, philadelphia weight loss doctors, Popular diet pills, Qsymia, saxenda, vitamin B12 injections Philadelphia, weight loss philadelphia, weight loss pills philadelphia, weight loss programs Philadelphia on June 23, 2016 by Dr. Michael Kenny.